Last month we sat down with our Chief Medical Officer, Dr. Wheeler, to talk about the medical landscape in Rio and what travelers can expect if they need emergent medical care while traveling there. This month, we’re switching our gears to safety and picking our Chief Security Officer, Jim Hutton’s, brain on the topic. 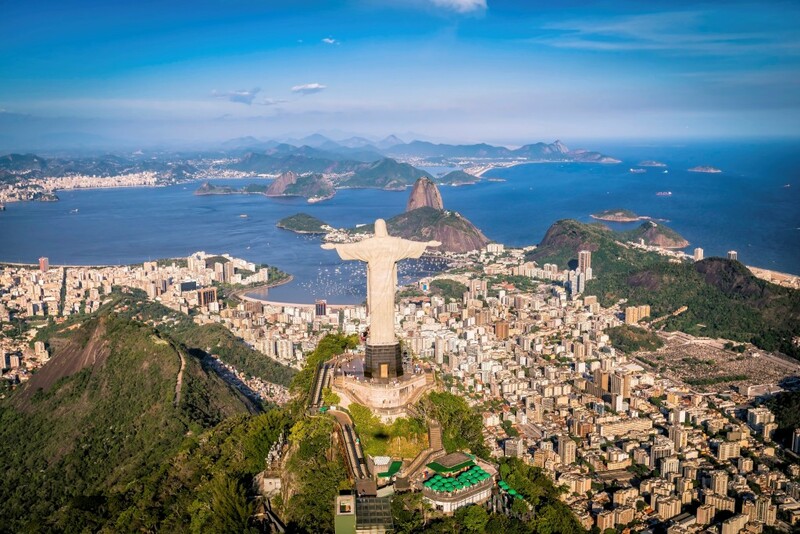 Read on to learn what Jim has to say about the security landscape in Rio, including the city’s crime and transportation challenges, and how you can best prepare your travelers for a safe trip to the Rio Olympic Games this summer. What do you think is the top safety concern for travelers headed to Rio 2016? I would say the biggest challenge will be mobility—moving around massive amounts of people across large distances in a timely manner. The sheer number of visitors will likely put pressure on the city’s already crowded roadways, beaches and public transportation system and strain Rio’s accommodation options. Rio has received media scrutiny around the fact that several large-scale transportation projects aimed at reducing traffic have not yet been completed. So I can’t stress enough how important it is for travelers to plan their routes ahead of time—and to factor in plenty of extra time to get from Point A to Point B. In the wake of events like the Paris attacks, it’s only natural for travelers to be concerned about terrorism. What are your thoughts on this as it pertains to the Rio Olympics? Well, I always urge travelers and their organizations to be vigilant and keep an eye on travel warnings and alerts. Yes, the State Department instituted worldwide caution for U.S. travelers, but there are no specific travel alerts or warnings related to Brazil at this time. Historically, Brazil has not been a significant target of terrorist threats, and the region doesn’t currently have homegrown terrorist organizations within its borders. Some security experts have cited “lone wolf” attacks—which are unsophisticated attacks occurring in crowded, public areas—as a potential threat at the Olympics, but this risk is present at any high-profile event that draws in large crowds of people. National-level security and intelligence services are known to be quite sound in Latin America, and they will likely build on their successes from the 2014 World Cup in Brazil. The U.S. State Department rates the criminal environment in Rio as “critical,” which is the highest level of risk in this category. Should travelers be worried? That’s a great question. It’s no secret that Rio has had its share of crime—street crime, carjacking, assault and theft are not only concerns in Rio for visitors, but also for locals. Most criminals in Rio carry weapons and will not hesitate to use force if victims resist. That said, I’m not by any means trying to scare people into cancelling their trips to the Olympics because of street crime. Instead, travelers and their organizations have a mutual responsibility to become acquainted with the risks associated with traveling to Rio and plan accordingly. I firmly believe the overwhelming majority of sponsors, participants and athletes are going to have a great time at Rio 2016 if they take ownership and accountability for all aspects of their personal safety. What’s your advice for organizations that aren’t quite sure how to get their travel planning efforts off the ground? I always encourage travelers to enroll in the State Department’s Smart Traveler Enrollment Program (STEP) and download the corresponding app to receive up-to-date, destination-specific safety information right to their mobile devices while they’re away. The State Department also has a plethora of educational resources, including a pre-travel checklist and country information, so travelers can learn about any safety and security nuances related to their destinations. Proactive travel messaging through continuous security intelligence monitoring is also an important aspect of equipping travelers with the right information at the right times, as is proactive safety planning as part of a holistic travel risk management strategy. Want additional travel security and safety advice related to the Rio Olympics? Contact us today.